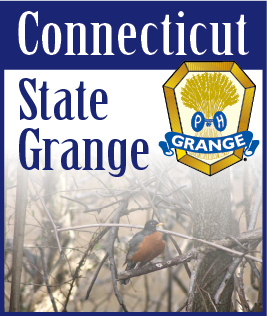 Congratulations to all the Granges who have strived and succeeded is having new members join them and all of us in growing the Connecticut State membership across the state. We are so proud of all who have been working toward the goal. One thing that I find interesting is that many times people whom we think we know in Grange, or any organization, we don’t really know at all. Grangers could take a white board or cork board and title it, “Members of  _______ Grange”  On small slips of paper could be put a person’s first name and occupation, past, present or retired. Tack these around the board. It would be an interesting board for all to see. This could be a membership tool when a membership table is set up anywhere. It could also be hung on the wall for all to see. When recruiting members, it will also answer the question - “I thought Grange was only for farmers.”  Remember to only use anyone’s first name so that we don’t breech any privacy issues. Respect peoples privacy. Thank you again for all the efforts everyone has spent and keep up the good work.